Prepare: Peel and wash shrimps. Soak seaweed in warm water and wash to clean. Boil the water and cook seaweed. Take out & squeeze out water. Cut them into strands. Heat the oil and put purple onions and stir, put shrimps in and mix. Later add the seaweed and cook rapidly. Season by black soy sauce, salt, pepper and 200ml of filtered water. After the mixture boils, turn the stove off. 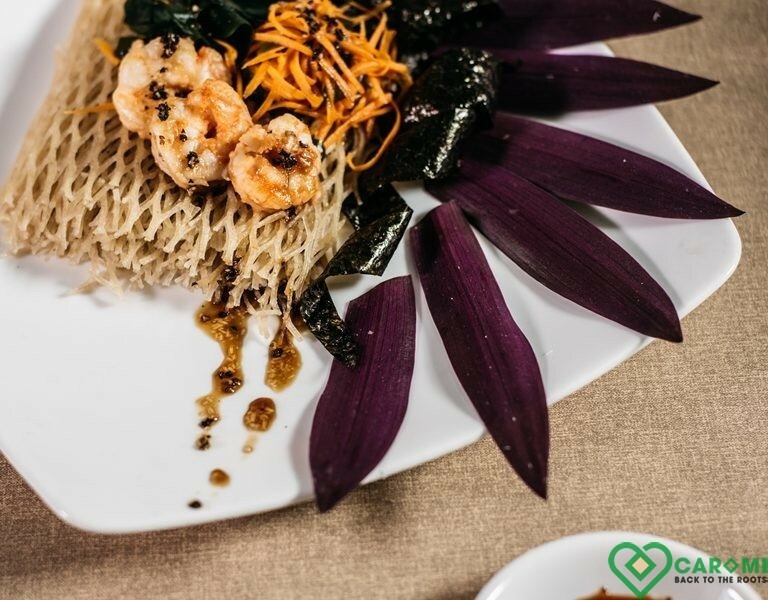 Break cassava noodles in bite-sized chunks, dip in clean water for 4 minutes then drain in 2 minutes. Use chopstick to pick noodle up and dip them in the cooked mixture to enjoy.